Debbie joined CDC following 12 years with Lloyds Bank where she worked in various customer service roles before joining Private Banking as a manager’s assistant. Debbie prides herself on being able to deliver exceptional customer service and being part of the CDC team enables her to put customers at the centre of all that she does. 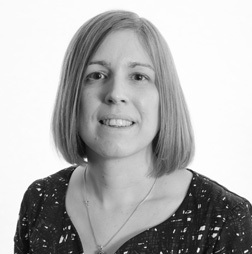 Debbie is a graduate from the University of Sunderland and this has instilled in her a passion for lifelong learning, since joining CDC she has attained the CII Diploma in Regulated Financial Planning as well as the CII Certificate in Pension Transfer Advice and Certificate in Paraplanning. Debbie is committed to continuing her professional development and is currently studying towards the CII Advanced Diploma in Financial Planning. Outside of work Debbie keeps active by participating in various exercise classes, she likes to cook and is a keen reader of all types of fiction.